The Central Library has a small display on the 70th anniversary of the end of World War II. It’s in the 2nd floor hallway near the Humanities Room entrance. It focuses on FDR’s death, his Four Freedoms, includes Norman Rockwell’s Four Freedoms poster series and their first appearances in The Saturday Evening Post. 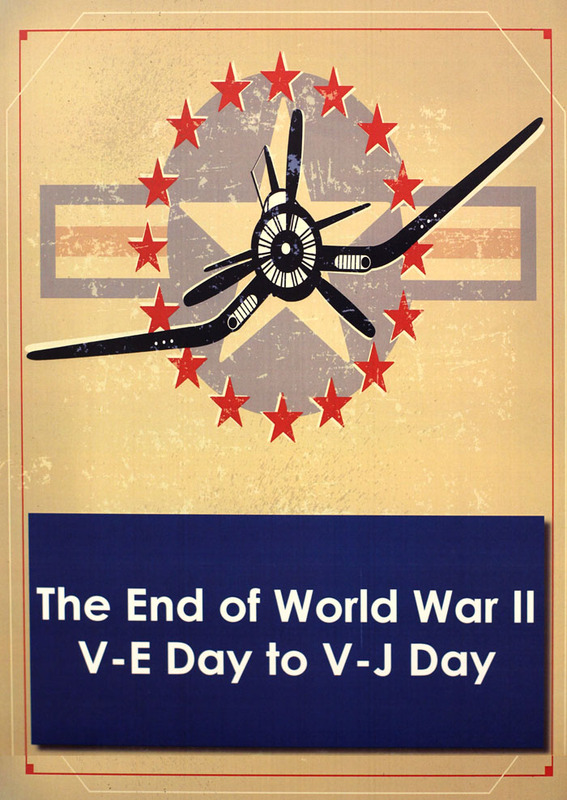 Next month’s focus will be on V-E Day & Gertie the Duck. June may be a bric-a-brac on the home front, death camps & Okinawa. July will be on Potsdam and Churchill’s Tories losing the 1945 UK election before wrapping up in August w/the A-Bombs & V-J Day. Display materials are from the Milwaukee Public Library’s magazine and newspaper collections, Historic Poster Collection, Historic Photo Collection and Historical Sheet Music Collection.